Eddie knew he found his groove when he picked up his first pair of sticks at the young age of 6, and has been a definitive, driving force behind many bands. 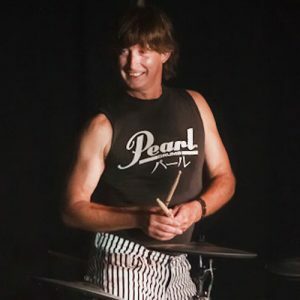 Influenced by The Monkees, classic country and hits of the 50’s, 60’ and 70’s, his biggest musical mentors are The Beatles, Paul McCartney, Keith Moon, Rick Allen, Neil Peart plus many of the great musicians he has played with. Eddie’s the former drummer for thrash legends, Faith or Fear.